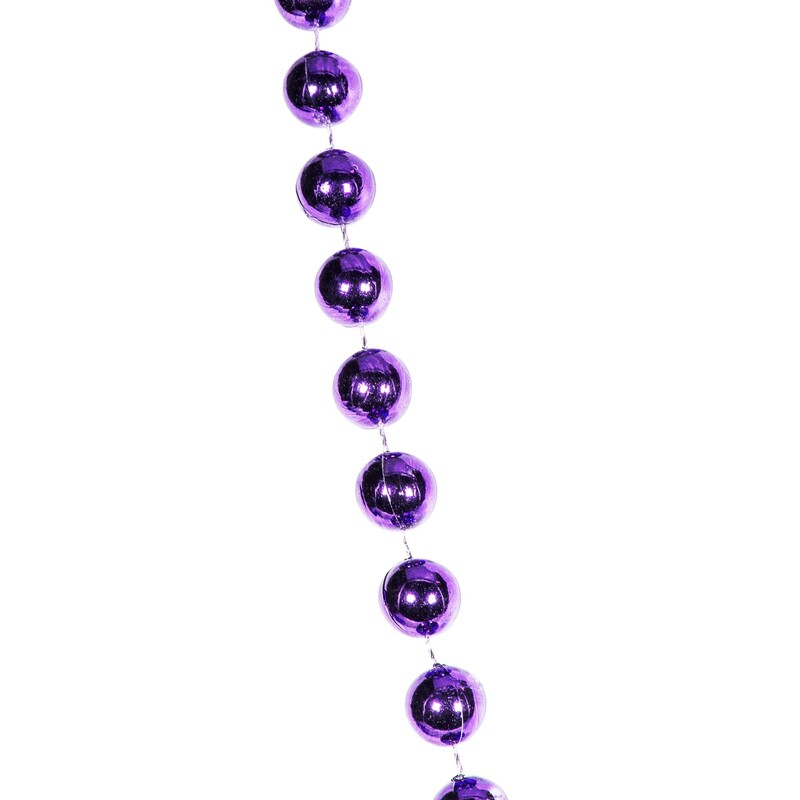 Dress your guests with our metallic Purple 33" 12 mm Bead Necklaces. Perfect for give aways or party favors or decorations. Drape over doorways, on banisters, or use as a napkin ring during any event where purple is your school, team color or for purple ribbon events. Mix and match with green and gold for Mardi Gras or silver and gold for Fat Tuesday, too. 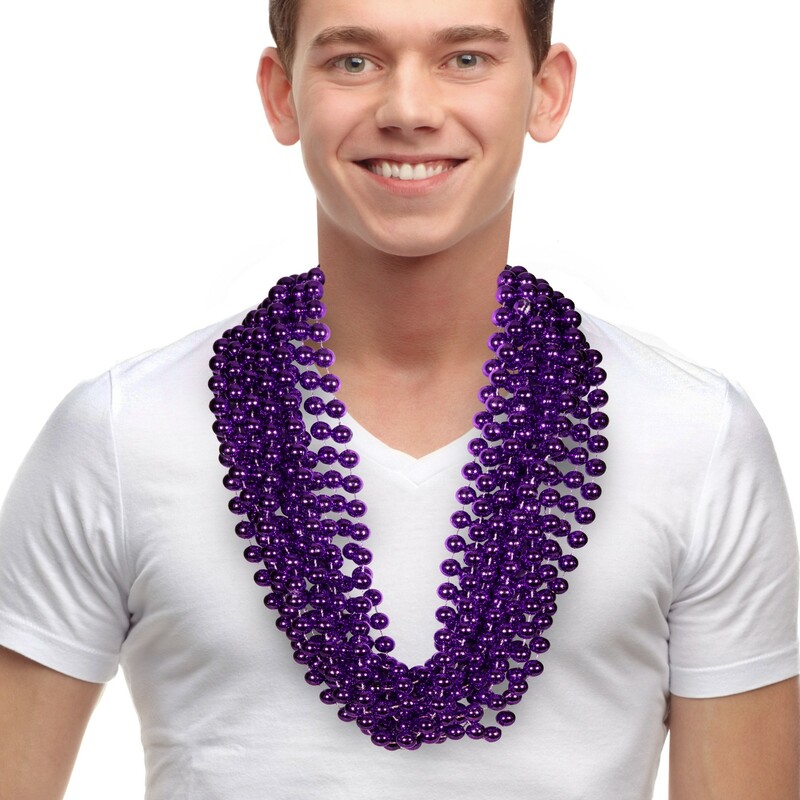 Each pack comes with 12 bead necklaces. Priced by the individual piece but please order in increments of 1 dozen. Priced by the individual piece but please order in increments of 1 dozen. Most of the prices on our items reflect your cost per piece. Some items are packed and sold in incremental quantities such as dozen, gross, pack, units etc. Unless otherwise indicated in the item description, your cost will be the per piece price x the increment indicated. Please order in those increments when indicated. 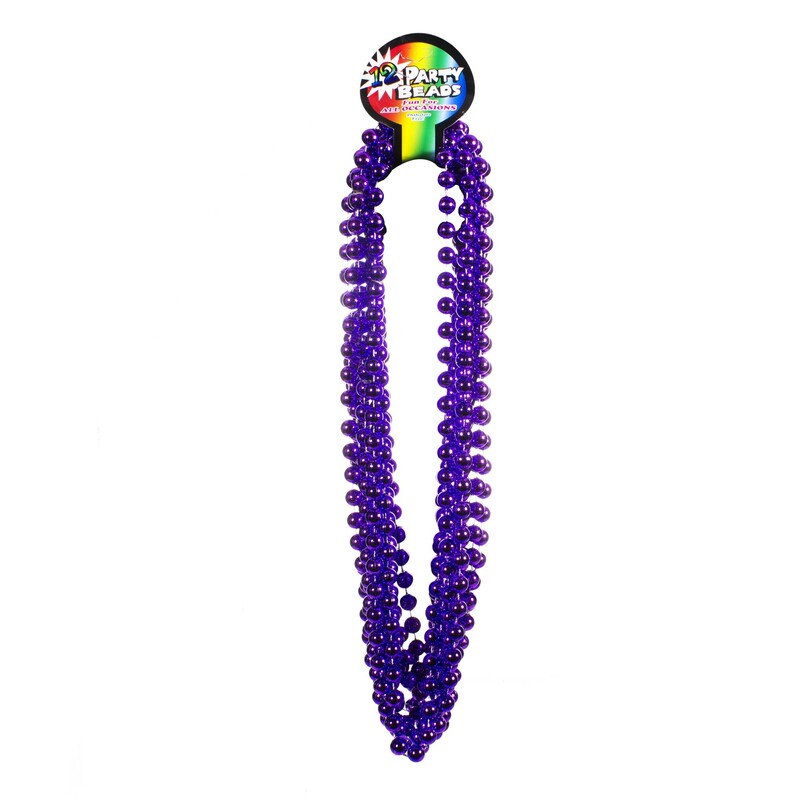 *Please Note: All our beads meet or exceed CPSIA standards for all 50 states. Purchase from us with confidence! Please Note: The shades of the product color may vary slightly since we might need to use different dye lots on orders of large *quantities. 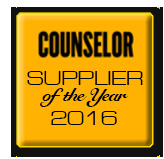 *Please note: Orders less than $100 worth of product (p) are subject to a $15.00 (p) less than minimum charge. Most products that appear in the 12 piece column are indeed subject to the $15.00 less than minimum charge. *Please note: Orders less than $100 worth of product (p) are subject to a $15.00 (p) less than minimum charge. Most products that appear in the 12 piece column are indeed subject to the $15.00 less than minimum charge.